If you’re an MSP founder or executive, there’s something I want to share with you. I’ve called it the Founder’s Guide to MSP Marketing because, over time, as a founder of an MSP, I’ve accumulated and documented some definitive steps you should take when trying to market and grow your MSP. When I first started my MSP, I was just trying to scrape together enough clients to make ends meet. We’ve all probably had similar stories. I never even thought about MSP marketing or trying to generate more leads. I just figured I’d do some networking and everything would work out fine. But then I realized that I freaking hated networking. I hated passing out business cards. I hated asking for referrals and paying membership dues to BNI groups that made me pay for my own lunch as I sat through awkward presentations. And worst of all, I exhausted my Rolodex. As I started to really dial in our help desk and onboarding process, I had a natural desire to scale up and start making some money for a change. We had the bandwidth to take on some new clients and so I figured I’d better get serious about filling up our sales funnel so that our guys weren’t sitting around playing World of Warcraft. So I dedicated about a year to solid research and development as well as trial and error in learning what works and what doesn’t work for generating leads for my MSP. I wanted to engineer my way out of the sales grind and go straight to closing deals at the bottom of the funnel. I loved getting new clients, making new friends, and helping new businesses… but I wanted our lead funnel to be more of a two-way street where both of us were equally interested in each other’s services. Not me trying to convince them why they need us. Fortunately, I found a formula that no one else had tapped into at the time and my little MSP experienced expansive growth. I found that you could go out and pay thousands of dollars for “toolkits” and “gurus” but that most of that stuff was full of fluff and outdated. Building Google Ad Campaigns For Your MSP. Retargeting people and companies who have visited your website. Building Reviews for your MSP. Getting Deep Insights Into Your Potential Clients and Leads. Setting Up Proper Analytics and Then Using Them For Your Marketing Strategy. But before we get started, I wanted to let you know that marketing an MSP takes time and patience. The rest of this stuff in this guide to MSP marketing won’t help a bit if you don’t give it a decent shot. Marketing an MSP isn’t like selling widgets wherein you can throw up some Google PLA’s (product listing ads) and then drop some budget on the campaign and make some sales that same day. Unfortunately, I’ve seen a few MSPs approach marketing this way. They’ll give it a go for a month or two, get impatient, and assume that online marketing for MSPs doesn’t work. That is the number one determinant of success and failure. One MSP looks at the money they spend on their online presence as an investment, while the other looks at it as if they’re losing money. It’s like planting a garden or a fruit tree. The prep work, the time, the money to get it going isn’t all that fun, and for a short time, your garden or tree isn’t bearing fruit. But soon… if it’s cared for, there will be more fruit than you can handle. But only with time and patience. The thing is, MSPs have a much higher ticket value than other industries and MRR to make the longer sales cycles worth it. An MSP could have no leads for months and then get one lead that provides a positive ROI for the next 3 years of advertising costs. So you should be willing and ready to have a high cost per lead and an even higher cost per conversion. Heck, if you could get a client that would pay 10k a month or 120k annual contract, but you would have to spend 20k to get it, would you do it? I certainly would… and provided it was a good client, I’d probably even go much higher. One MSP I work very closely with in California paid for Google Ads for almost 6 months. They got some leads but nothing closed. But they never wavered. They exercised patience and trusted the process. Then they closed a 300 user company and a few other 50+ user companies within a month of each other. By about month 8, they had generated almost $750,000 in ARR (Annual Recurring Revenue) contracts. That’s not even taking into consideration the LTV (Lifetime Value of a Customer) or the project value of those customers, or even the referral value of other customers that come in as a result of a closed deal. We only measured managed services contracts because the other things are hard to calculate until much later. And that’s just the tip of the iceberg on how those leads will impact ROI. Now that MSP generates multiples of solid leads per month because they invested in their long-term internet presence. Sometimes it’s hard to get the ball rolling, but when it’s rolling, there’s no stopping it. When I started doing marketing for my MSP, it took me about six months to a year of solid content marketing before I started to see real results. But as I stuck with it, and committed to the cost of doing it, the investment came back to me in abundance. What I do now, to get things started faster, is build and optimize Google Ad Campaigns to start generating leads for MSPs immediately instead of waiting for the content marketing to kick in. But I’ll cover more of that later in this guide. For now, I just wanted to let you know that in my experience, the only way to see massive ROI on marketing spend is to give it some time to marinate out there on the internet. When you invest in the process, you’re going to see momentum start to kick in and then you’ll start experiencing passive leads on a regular basis. Then you’ve just got to close them! But just one more thing as it pertains to the size of the company you’re going after. The size of the leads you’re going after will have a direct correlation to the number of leads you’re going to see. If you are looking to only work with 300+ user companies, then you’re going to see a smaller number of leads come through your website. It’s sort of like fishing. There are a lot of fish in the lake, and you’ll get a lot of bites, but it will most likely take some patience before that “big one” comes and takes a bite. There just aren’t that many 300+ user companies in any given locale looking to change or overhaul their entire IT infrastructure. They will come, but it will take some time. On the other hand, if you’re able to service a wider sized variety of companies, then you’ll most likely have more leads to sift through. One of the biggest mistakes MSPs make is to go out and find some company that supposedly specializes in “MSP Websites Templates.” These sites are usually canned outdated sites that hundreds of other IT companies around the world are using as well. Those sites will come with all the cheesy bells and whistles that too many MSPs think they need. It will even come with canned content that is going to get you penalized by Google’s crawler. What some of these MSP website providers do is create 5-10 templates and 20-30 blog posts with canned page content so that they can sell a lot of them and for cheap. What you end up with is a site that isn’t pretty, isn’t updated, isn’t built to convert, isn’t being indexed by Google or ranking well in the search engines, and isn’t interesting to read or interact with. What you have… is the equivalent of a bricked-up switch that is being used as a doorstop for a website. So what we did was build a custom site that was current, responsive, and built for mobile. We also wrote original content and conveyed OUR message in the way that we wanted OUR clients to interpret it. We made it so that when someone landed on our website, they were immediately impressed and interested in who we were and what we had to say. The most important thing we wanted to convey to that potential client was trust. That’s the number one reason for a client choosing you over another vendor. They trust you with their network over anyone else that they can find. Often that trust comes just by taking a few seconds to look at your website. Have a custom website built. Write content for the website that is authentic and original. Don’t use templates or canned content. Make sure you address your target client’s pain points. Make sure the website is responsive and ready for mobile devices. Use real pictures of your team and office as often as possible. Include a professional video if available on the website to help build trust. Create a blog as part of the website in order to integrate content marketing. Include trust factors toward the top of the website such as reputable client logos, reputable partners logos, and a testimonial from someone who fits your buyer persona. Make sure your site is not hosted on a shared server farm such as GoDaddy, Hostmonster, other other cheap solutions. Include a few relevant case studies if available. Minimize the number of pages you include in the main navigation of your website. If you must have tons of service pages, then put them in the footer of the site. As an example, one of our most successful MSP websites is this IT Company in San Diego. Notice that it’s custom built and ready for conversions. In all of this, the thing to keep in mind is that your website’s most important function is to attract new customers and make it easy for them to call you and/or fill out a contact form. They’re looking to see if you have an answer to their pain, and you’ve got to address that pain very quickly without them needing to dig down deep into the site. This is even truer when it comes to the landing pages for your ad campaigns. Before you launch, make sure that you also have the proper analytics scripts running and properly embedded into your code. I would suggest installing Google Tag Manager as a centralized way to manage and install all future tags, scripts, pixels, and anything else that will help you measure the success of your campaigns as well as retarget website visitors. One of the first things I focus on now for a new MSP campaign is Google Ads, formerly known as Google Adwords. With Google Ads for MSPs, you can start presenting ads to the right people, in the right demographic, at the right times. You can do this quickly to start generating leads before your content marketing, your SEO, and your other longer-term online marketing strategies kick in. As I read the MSP Reddit forums and other MSP focused forums, I notice that a lot of people are trying Google Adwords and abandoning it because of a lack of results. I totally get it. It gets depressing to spend money and not see results. You can lose your shirt running Google Ads if you’re not careful because Google Adwords Express and other default settings are calculated to get you to spend money and target very broad, non-conversion friendly keywords. You can also run into trouble by not having an effective negative keyword list. One of the reasons we see success with our campaigns is because I have accumulated years of negative keywords specific to the MSP niche. I’ve aggregated negative keywords from MSPs across the country into one giant negative keyword list of almost 1,000 keywords that MSPs waste money on. What this does is make it so that when we set up a new MSP Adwords campaign, that new campaign isn’t going to waste tons of money on clicks that are totally irrelevant to that MSP. Out of the box, we’re only spending money on relative terms and for the most part, genuine potential customers. Do you know what your current IT company is even doing for you? Do you feel like you’ve outgrown your current IT provider? Do you feel like you’re paying too much for IT services? You get the idea. You may have specific clients that you service. You can tailor those questions to meet the needs of your demographic and target verticals. Then you’ll want that landing page to be short and to the point about what you do, how you do it, and why you do it. You’ll want authentic hi-res photos of you and your team at work. If you have to use stock photos, then choose photos that aren’t cheesy. To view an example of an extremely effective MSP landing page, see this Ironedge landing page. Once you have your landing pages dialed in, then it’s time to start building your Google Ad campaigns. 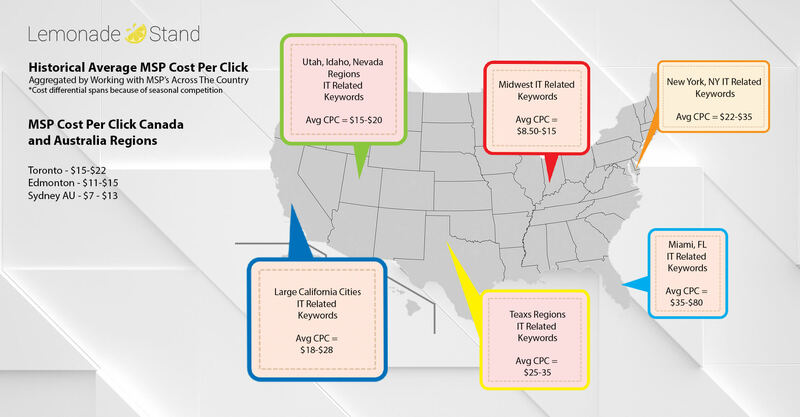 These campaigns Cost-per-Click (CPC) and Cost-per-Lead (CPL) will vary depending upon where your offices are located. Based on this map I’ve created below, you can get an idea of how expensive it is to advertise in your given region of the United States or even the world. You’ll notice that there are some areas that are very competitive and also some areas that are not competitive at all. We’ve found that the hardest regions to compete for online leads in is the Miami area and the various major cities in Texas. You’d think that is would be New York, LA, and other major cities but experience has shown us otherwise. Of everywhere we’ve run MSP marketing campaigns, Miami is by far the most enigmatic and difficult to generate leads in. I can honestly say that I feel like we’ve failed in the Miami area. We’ve had major success in every other part of the US and even in other countries, but for some reason, Miami runs into $80 clicks for keywords that usually don’t end up being legitimate leads. Compare that with San Diego, LA, New York, the Midwest and Canada where you have much more traffic and $12-25 dollar clicks with much higher conversion rates. Hire someone who knows what they’re doing with Google Adwords. If possible, someone with knowledge of the industry. Build effective MSP landing pages. Start with a small budget and then scale upwards once your campaign is dialed in and landing pages are effective. Perform effective keyword research for the verticals you’re targeting. Find a negative keyword list to save you thousands of dollars on wasted clicks. Don’t automate your PPC bids. Once your Google Ads are running and you’re starting to gather some data and trends… and maybe even some leads, you’ll want to take some time to begin performing SEO on your website. 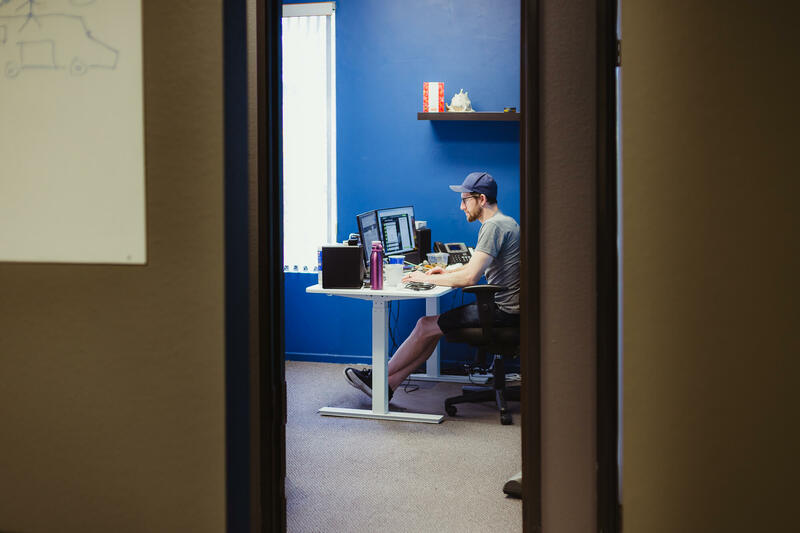 In order to do so, you’ll need someone who knows how to perform what is called “on-page optimization.” This is someone that knows how to clean up and streamline your code. There are things that an SEO professional should handle. In fact, when we go through it, we have about 200 steps we trudge through in order to ensure that Google can properly index a site and serve up pages with maximum efficiency. Then we set up and manage the listings for hundreds of online directories and ensure that each and every one of them are consistent across all platforms. SEO is a long-term play, but if you do it right, it’s like building a lead gen machine that you can put on autopilot as you create new content. In order to make this as easy as possible, I would suggest using WordPress to build your website and blog. Then, once you have your website done and ready to roll, just install the Yoast SEO plugin. This WordPress plugin will enable you to search engine optimize any new blogs or content you publish without the help of a professional. If you’re doing content marketing, and you should do content marketing, then you’ll want to be able to SEO your blog posts every time you post. Yoast SEO plugin will make that a snap. Another thing you should set up is your Google Search Console. You are able to set that up and integrate it into your Google Analytics. It will help you gain insight into how well your content is performing as well as help you find critical problems with your site structure that might be causing your site to not rank as well in the search engines. Either learn SEO or have someone perform SEO on your new website. Perform a baseline on-page optimization. Ensure your site loads fast and is structured properly. Sloppy code = sloppy rankings. Clean code = good rankings. Install and configure the Yoast SEO plugin. Submit your site to hundreds of local directories and ensure that the listing is consistent across all directories. I can’t emphasize this step enough… and yet, this is going to be the step that will give most MSPs the most problems. Most MSPs will start content marketing (creating blogs, infographics, videos, podcasts, etc) and then give up after a few months. MSP content marketing is hard work. Very hard work. It takes a ton of time to create content and you have to have a burning desire to write. Then there’s the consistency aspect. You should be producing content no less than once a week or 4x per month. People get busy and writing content becomes less and less important when you’re dealing with the day to day of running an MSP. Add that to the fact that you don’t normally see content marketing start to pay off until 12-18 months down the road. It would be like going to the gym for 6-8 months and not seeing any muscle tone. Pretty depressing right? Especially when you take into consideration that content marketing is expensive. It’s expensive in that either you’ve got to pay someone else to do it for you or you’ve got to do create an opportunity cost and do it yourself. BUT… (and this is a huge but) if you’ll stick with it, and look at it as an investment into the long-term success of your company, you won’t be disappointed. Once you start to see content marketing work in concert with SEO, and you start to see your content ranking at the top of the search engines, and your organic traffic going up, and the leads coming it… you will be glad you stuck with it. Here’s an example from an MSP that we’ve had for under a year. You can see that it’s slow going for awhile with content marketing, but then once Google starts indexing the content and ranking it, the traffic begins to soar… and so do the leads. This was the single greatest lead generation channel that caused my MSP to experience massive growth. It took about 12-14 months of consistency… but it was like a miracle once the content began to get indexed by Google. Clients would call me, book an FTA, and close within a couple days. It was like all of the content marketing inbound leads were just ready to roll without much selling at all. Then I’d go on to talk about my background, history in the city, and our ability to solve the pain they’re in as they search for an IT company in their given city. This is what is called Evergreen Content and it’s the most effective way of building a content marketing lead generation machine. Once your content marketing, your SEO, and your Google Adwords are all firing… you’ll see a perfect storm of leads start to trickle in until they become a flood. Commit to content marketing for at lead 12-18 months. Be consistent. No less than 4x per month. More often is possible. Perform SEO on the content being produced. Pick topics and keywords to write about that will actually generate leads by addressing a potential client who is in pain and is searching for a solution. Tailor the content to your given city or region of operation where possible. If you’re wondering how to make a blog post go viral, then you can check out this comprehensive real-life experience with making blogs go viral. But for MSP content marketing to work, you don’t need viral posts. You just need consistent evergreen content that will rank when people are searching for a new IT provider. Think of all those people who are coming to your site because of your pay-per-click, SEO, and content marketing efforts. Now, think of the proven “rule-of-seven.” There is a universal understanding that clients, on average, need to be exposed to companies about seven times before they do business with them. I know there are exceptions because I know some clients we’ve worked with haven’t been exposed to us seven times, but nonetheless, staying in front of people who have shown interest in you in the past is HUGE! You invest time and money into getting people to your website to check you out. But they’ll often click away from your website because they were busy or weren’t ready to switch providers at the moment. Retargeting keeps you top of mind and tip of tongue by dropping a “cookie” or a piece of code into the browser of the person that visited your website. Now, with your cookie in place, you can show your brand and your ads to those people that visited your website. Retargeting ads are usually among the most inexpensive ads you can show, and yet the most targeted. They are targeting people who have already checked you out! And when I say inexpensive, we’re talking about thousands of impressions for cents on the dollar. Place the Retargeting code directly on your website, or into your Google Tag Manager. 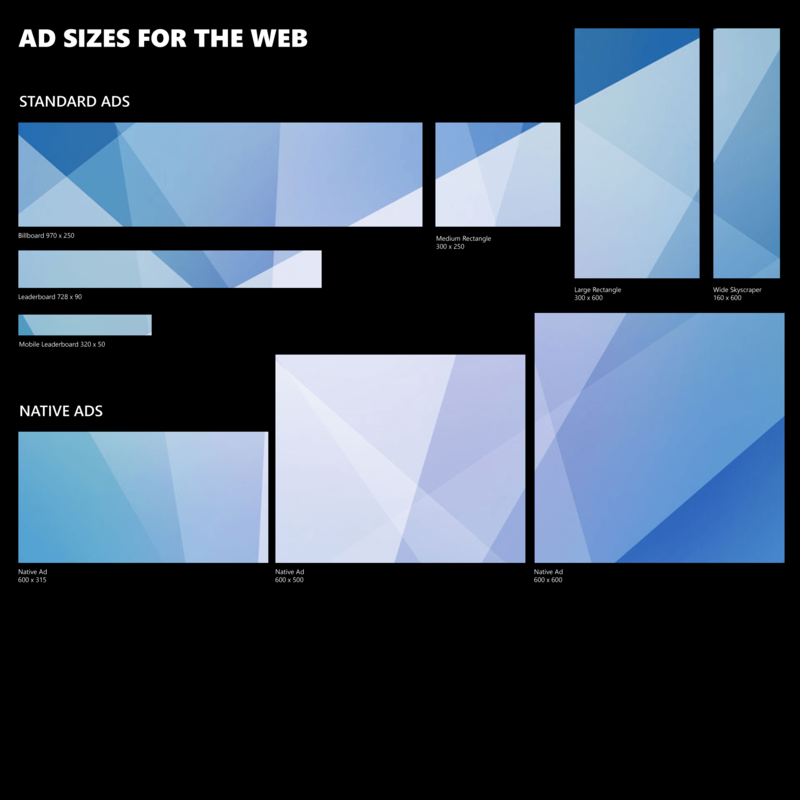 Create compelling remarketing ads in all of the required sizes. Choose a retargeting platform. Google Ads, Facebook, Adroll, or other. Set up a retargeting campaign correctly. Almost every time we get a new lead, the person we’re talking to tells us that they had checked out our reviews and that it was our reviews that got them to pick up the phone and call us. I’ve seen a notable difference between the MSPs that are just generating traffic to their website from internet marketing campaigns and MSPs that are both generating traffic and then getting the phone to ring. Advertising, content, and referrals can get people to your website, and if they’re impressed with your website, they’ll often take one more step before calling you or filling out a quote request. That step is to check out your online reviews and reputation. Everyone is doing their due diligence nowadays. They want to see what others say about working with you. They want to save themselves the trouble in case others have had a bad experience. When MSPs don’t take this step seriously, they usually lose out on some really good leads. But I have seen first hand, the difference in lead generation and close rates just by having upwards of 10+ Google and Yelp reviews. If you can get more, it’s even more impressive. And if you can get them on a consistent basis, meaning, you make it part of your overarching long-term internet strategy, then you’ll see the difference. The thing that’s hard about building an online reputation and getting the reviews is simply the process through which clients need to go through in order to leave a review. Sometimes people don’t have a Google account or a Yelp account and then it becomes a headache to the person reviewing. Sometimes it’s confusing and overwhelming for non-tech-savvy clients. So in order to make it easier on them, we developed a wizard to help guide our clients through an easy process of reviewing us. It makes all the difference if you can make that process easy for your client to review you. We’ve also structured our wizard in a way that helps us mitigate bad reviews and try to make it right with the client before they begin sharing a bad experience on the public internet. Then if they’re having a bad experience, you can try and work through it with them without it becoming a public spectacle. If they’re having a good experience, then the wizard will take them down a path that is most convenient for them. 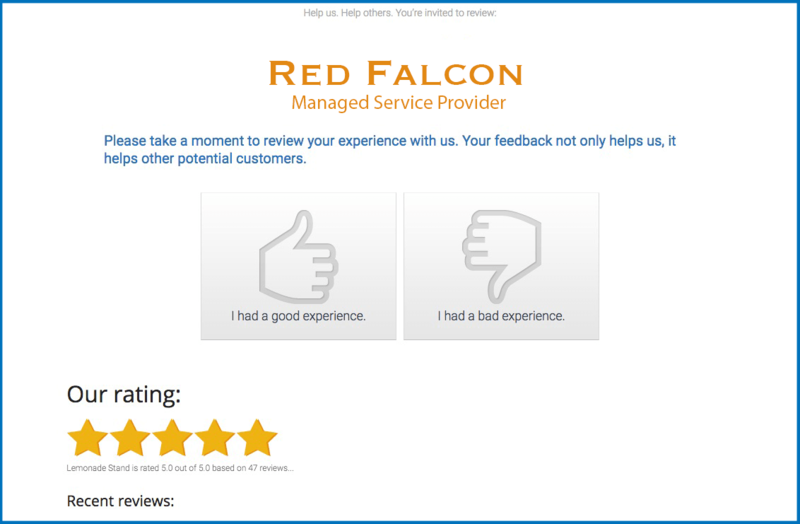 Track down your current online reviews for your MSP. If there are any bad reviews, try and rectify the situation and get the review removed. Implement a review wizard on a private domain such as review.nameofyourMSP.com. Reach out to your clients individually and ask them for reviews. Make the ask an easy one, with a short email. Ask them sincerely for their help. Also look for clients of yours that you can review. People are many times more willing to reciprocate, knowing you just left them a review. Continue asking for reviews as often as you can. We’ve developed partnerships with various analytics companies that focus solely on MSPs. We build these tools directly into the websites and the campaigns we run. These tools go beyond the scope of what a Google Analytics can do by giving you detailed insight about the companies who are actually visiting your website. The ability to identify companies by their IP Address and domain. Insight into where the leads and website visitors are coming from. Email notifications when a new prospect is on your site. Contact information for possible contacts from the company that is visiting your website. There are many other analytics features that are available in these tools but you can get most of them out of the box using Google Analytics. But when you combine the two, it gives you greater insight into the types of businesses that are visiting your website as well as giving your sales team insight into who to focus on when they’re prospecting. Then you should set yourself up to receive immediate or daily emails about the type of businesses that are visiting your website so that you can have your outbound sales team reach out to them. Here’s an example of a notification that will help you in reach out to people in real time and at relevant times. You can use these notifications to find out how these companies are interacting with your website, what pages they’re visiting, how long they’re staying on the pages and if available, the contact information of the person who is visiting your website. 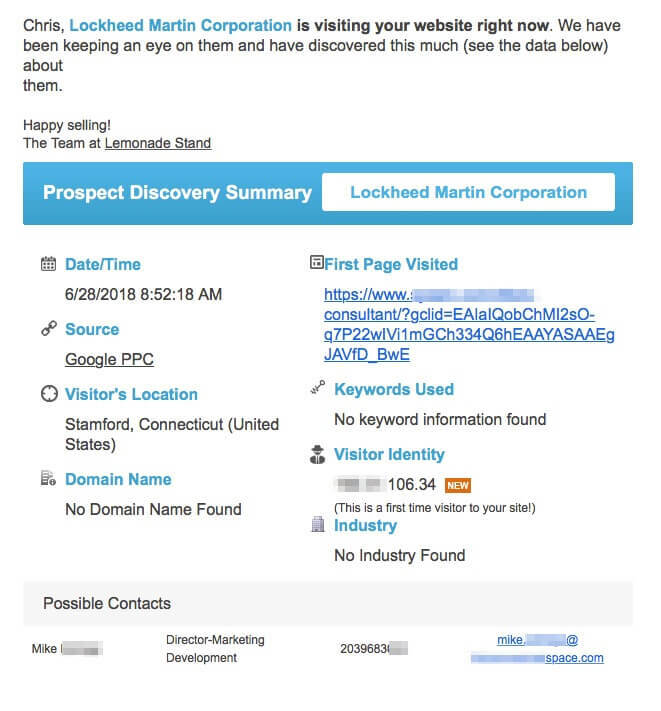 In this case, someone at Lockheed Martin was visiting some pages on the website for an MSP in Washington D.C. and as you can tell from the landing page information, was looking for a security consultant. I won’t go into detail on how to set up your CRM and marketing automation because of how complicated that can be, but getting it set up and working is a step that your sales department won’t want to overlook. If you’re smaller and can’t afford any of those CRM softwares to track sales leads, you could probably set up a sales board in Connectwise or whatever other ticketing system you use and then track the leads that way, but it won’t give you the scalability you’d get from a software like Sharpspring. At a minimum, track your leads on a spreadsheet so you have at least some sort of sales organization. Setup your traffic analytics tools such as Google Analytics. 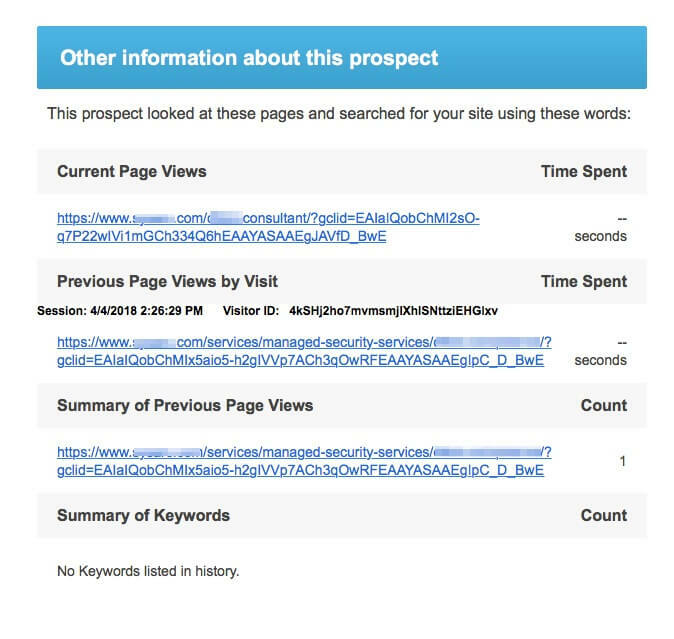 Setup a visitor insight tool or a CRM that will give you insight into who is visiting your site. Implement a sales process that helps you follow up with the people who keep coming back to your site. If you asked me, I could tell you everything about your top 10 competitors within a day or so. I could tell you how their site is built, what tools they’re using, what their strategy is, what ads they’re running, an approximation of how much they’re spending, how many backlinks they have, and virtually anything else you’d like to know about their online presence. This will help you know how to beat them. Once you’re beating them online, there’s a high probability that a large percentage of the online leads looking for MSPs will be yours for the taking. When you dominate all of the competition, you get the leads. They’re left with Chamber of Commerce events. Ask an internet marketing firm who is familiar with the MSP landscape to perform a competitor analysis. Most will do it for free. Learn what they’re doing and then beat them. You’ve most likely heard the saying, “what you can measure, you can manage.” Well, if you’re going to spend the money on building your online presence and generating online leads, then you should treat each one as if they were precious. That means tracking every single lead generated phone call and form fill, recording the phone call, and then documenting the phone call or lead form fill. You’ll want to have a dynamic lead tracking phone number for each of your primary marketing channels. For example, you should have a number for Google Ads, for Organic search, for Facebook or other social media platforms such as Linkedin, and for various referral campaigns. Here’s what having all those numbers is going to enable you to do. It will help you make data-driven decisions. All you’ve got to do is run a report or ask your MSP marketing provider to run a report for you that shows you what your most effective marketing channel is. The report will come back to you as a pie chart that shows you exactly how many leads are coming from each channel. If you notice that 60% of your leads are coming from one referral source… well then, you may want to pay more attention to that referral source. If Facebook is killing it for you, then you’d probably want to spend a little more money there. But possibly the most important function of call tracking is being able to listen to how your sales guys are actually handling the calls. I have literally listened to hundreds of thousands of dollars in contract go down the tubes because the guy or girl handling the sales line had absolutely no clue how to talk to a lead, qualify a lead, or set up an FTA with an executive. I am literally listening to these types of calls, cringing, knowing how much this deal could have been worth to the MSP. It makes me feel bad to see an MSP spend lots of money to acquire leads only to lose them because the sales line goes to an auto attendant or someone who should never be answering a sales line. So, without going into much more detail on call tracking, I just want you to know how important this step is in the MSP marketing process. 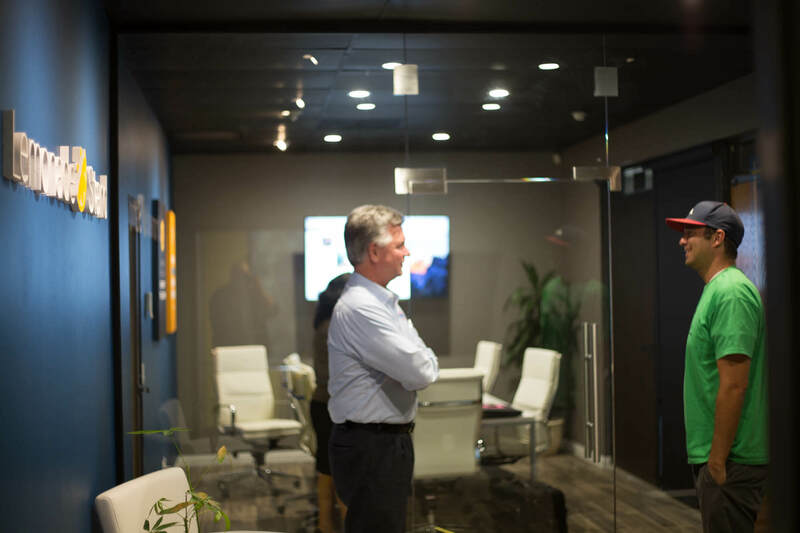 Call tracking might just end up being your most effective sales training tool. 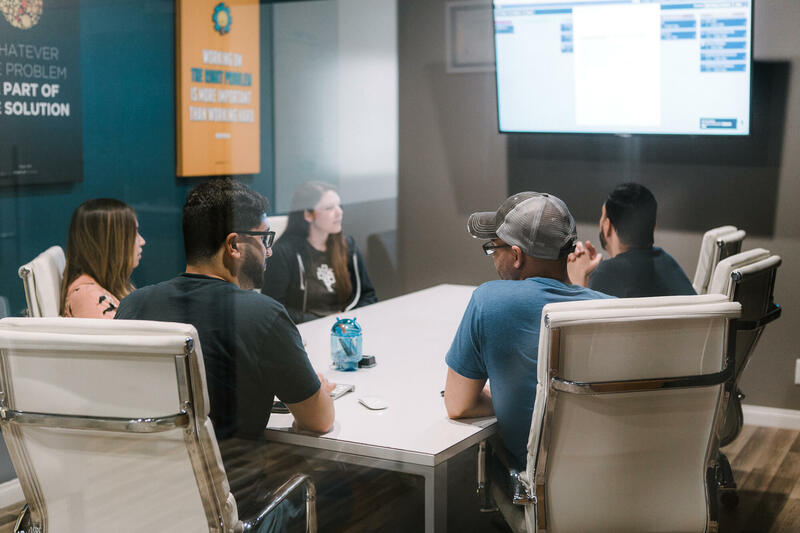 The best MSPs that we’ve worked with review the recorded calls during weekly or monthly sales meetings depending on inbound lead volume in order to determine where they can get better and learn from each other. Step 10 – Close Those New MSP Leads! Where MSP Marketing falls flat on its face is when an owner or VP of Sales thinks they can just handle it all themselves and keep track of it all in their own heads. We’ve actually seen this happen wherein MSP owners have asked to turn off call tracking and send all leads to their cell phones. We’ve also seen a lot of sales lines go to auto-attendants. We have never in our lives seen that turn out good. All we seem to get on the recorded calls are a lot of personal cell phone “voice mailbox is full” messages and looped auto-attendants where no one is available on the other side. Not the sort of thing to instill a lot of trust in a CFO of a 200 user company when they’re searching for a new IT provider. Generating leads through inbound online marketing is truly only half the battle. You can’t have success without both marketing and sales firing on all cylinders. If you have leads coming in that are being dropped, then deals aren’t going to close and you’re going to be wasting money. Then you’ll have a desire to give up on marketing because you don’t want to keep spending money if deals aren’t closing. Having a very fleshed out and professional sales process is the crowning step to all of the previous steps. If you’re the owner and you’re doing the sales, then utilize a system to help you be a better salesperson. If you’re managing a sales professional or a team of sales professionals, then utilize a system to ensure that the salespeople actually know what they’re doing and not just collecting a base paycheck. At the end of the day… I want you to close deals! I’ve just given you almost 6,000 words of my own “live and learn” experience as a successful MSP owner myself and as someone who has worked with some of the best MSPs in the world to help them grow their businesses. I hope you take this definitive guide to MSP marketing and blow the doors off with these tactics. I hope to see you in the Inc5000 and MSP Mentor 501 all day long! Best of luck my friends! Lets us know if we can help!